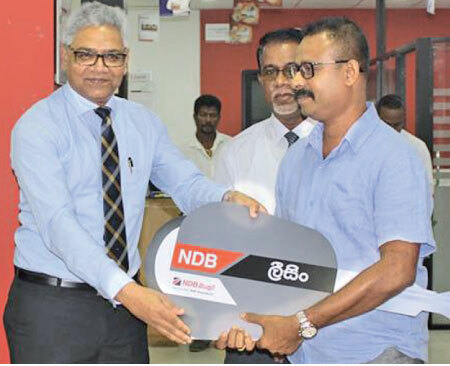 The New NDB Leasing Centers were ceremoniously opened at the Gampaha and Negombo branches by Senior Vice President Personal Banking and Branch Network Management Sanjaya Perera and the senior management of the Bank. The two NDB Leasing Centers are specialized with individual attention and door step service. Hence, customers could enjoy ease of access as the decentralized processing resulted in saving time creating more transparency as well as over the counter solutions. 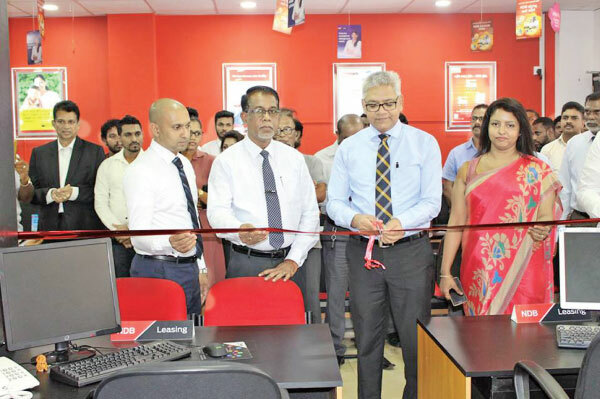 With the opening of the new Leasing centers at Gampaha and Negombo, NDB Leasing has taken revolutionary steps in the recent past in making leasing facilities more accessible and convenient to the Bank’s customers. One of the key advantages of the NDB leasing facility is that guarantors are not required. The concept of the “NDB one day leasing with no guarantors and no down payments had facilitated our customers by providing hassle-free services with minimal paper work. The NDB Leasing offers competitive interest rates and flexible repayment plans that extend up to 7 years. NDB customers could enjoy customized repayment plans that match the individual repayment capacity along with discounted insurance premiums. Additionally, structured payment plans with balloon payments and facilities with residual value/ multiple RV are also available. NDB has continuously enhanced its vehicle financing proposition to accommodate the diverse, evolving needs of consumers. NDB Leasing is available for individuals as well as Small and Medium scale enterprises. It helps to enhance and develop the SME’s sector of the country, by facilitating the purchase of a range of commercial vehicles such as Lorries, freezer Lorries, buses, and vans as well, as equipment. In addition, The NDB has also offered customized leasing facilities through its credit line funding for small and medium scale businesses islandwide, including the North and East Provinces under concessionary rates. The NDB extends its Leasing facilities to a wide range of customers via regional networks and strategic partnerships. NDB’s 365 day Leasing desk available at the Bank’s branches islandwide and further enhances accessibility for its leasing services. The NDB Bank which is the first and to date the only corporate in Sri Lanka to officially be certified with EDGE Certification, the leading and only global certification for gender equality at work places, is the parent company of the NDB Group, one of the fastest growing financial services conglomerates in Sri Lanka. Don't assume things that you don't know. hi brother , just check who are the owners of NDB, what ever teller says reasons are there,Teller radar system is switched on whole over the world. see no 8 in the largest share holders. @Uaecoindubai wrote: hi brother , just check who are the owners of NDB, what ever teller says reasons are there,Teller radar system is switched on whole over the world. Mr.Uaecoindubai, Can you please stop poking your annoying nose into all the topics. Do you think Perpetual treasuries, who are holding just 3% of the shares will pump unaccounted money into major bank in the country. You seems to be like some jobless school leaver posting low talks under major topics. OR you must be doing it purposely to get attention. Please try to be a bit matured and let us discuss something useful. nothing to say , "Eka pihatu ethi kurullo ekata ekathu we".